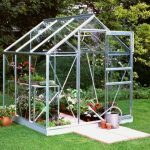 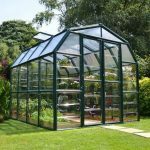 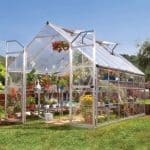 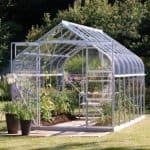 This is a traditional greenhouse constructed out of aluminium and with horticultural glass panels. 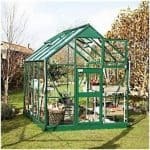 It comes complete with base and has generous double doors. 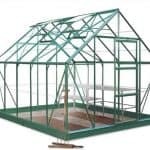 Perfect for cultivating young plants, seedlings, fruit and vegetables this is an excellent choice in greenhouses as it has good ventilation and temperature control. 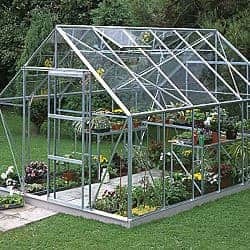 This product comes home delivered.